I used to publish a monthly Triggers Ezine that was jam packed with self improvement material and other terrific resources. 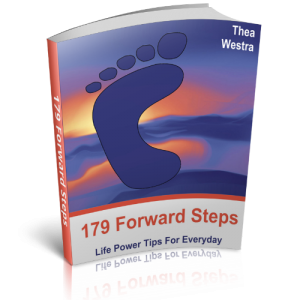 The My Forward Steps Membership replaces that publication. Every month the feedback that I received was as varied as the content that I sent each month. Triggers for thoughts, actions, emotions and ideas, are what this ezine was about. The Triggers online monthly ezine was loaded with potential “Aha!” moments. For Members of My Forward Steps, I have decided to list a collection of self improvement triggers from the past couple of years for you to explore and from which you can collect a large variety of self improvement resources. After you log in below, you will see a list of web links that will take you to Triggers Ezine copies from the past. I know for sure that any time you read through these Triggers ezines, with a set of specific intentions in mind, you will hit on some powerful prompts that are super relevant to your current circumstances, perfect for you at that unique moment in time. Giving rise to brand new thoughts and ideas for you, and sparking fresh responses toward those things that you are seeking to achieve. Even though Triggers was published from 2003 onward. I only placed Triggers on a web link from June 2007. To begin with, I will list the editions from June 2007 through to August 2009. When I return to this page to update, I will see what I can do here with regard publishing earlier editions for you to enjoy. Please do not write to tell me about links that no longer exist or may be outdated. This is an archive collection of past Triggers editions for you to enjoy as they are. I’ll not be updating any of the content within. There will still be plenty of material inside each edition from which you will benefit. The 2007 and 2008 editions are visually very different to those I published in 2009. When you log in, it won’t look like much of a page. Just a few links really! Don’t let that deceive you, there is a lot of content here. It would take you several weeks to get through it all. As a My Forward Steps Member you can return here, time after time.